The Fort Lauderdale Real Estate agent reviews below are the lifeline of my business and I am very grateful for the incredible people, comments and compliments received. I look forward to receiving more and hopefully can help you with all your Real Estate needs . My husband & I are now the proud owners of a beautiful oceanfront condo on the prestigious Galt Mile in Fort Lauderdale, all thanks to our hard working, aggressive Realtor/foreclosure specialist, and now friend, Tony Hammer. The day the unit became available for sale we called Tony and he took over from there. Since we’re from New York, everything had to be done over the phone, by fax and through e-mail, but he made the entire buying process a breeze. Tony took care of all the paperwork and running around for us, including meetings with the condo board. All we had to do was sign our names and send a check, it was that easy. From the very start, Tony was committed to making this deal happen. Because of his dedication, time and effort, our dreams of owning a family vacation place in Florida have come true! I was looking for a an income producing property on the beach in Fort Lauderdale. I found Tony Hammer on the Internet as a result of his strong web presence. Within days I purchased 2 beautiful hotel condos on the Fort Lauderdale beach . Tony worked very hard and spent a great deal of time with me. He negotiated a great price and made the process very easy and comfortable. I have recommended him to my friends and would recommend him to you as well. 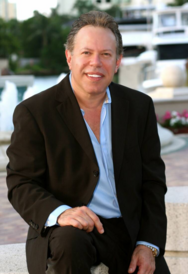 Tony is without a doubt the best luxury real estate agent in Florida. His knowledge of the market and dedication to providing the best match for us was the key to our successful purchase. Tony helped in every step of the transaction process and even followed up after the deal was done. Never panicked or pushy, he remained a real pro at all times. Use him if you get the chance ! Tony was wonderful to work with. From the moment we contacted him he went all out to help us find our FL. vacation condo. We only had one weekend to look at properties, and Tony had everything lined up and ready ahead of time. He took into account everything we talked about over the phone and only showed us condos that met our needs and budget. Tony made our condo purchase a very easy event – he handled all the details and even made an extra trip to the condo to make sure the electric was turned on – after the sale was already complete ! Great realtor – Great guy – Thanks Tony! When my son got accepted into a great high school in the east side of town, we knew we needed to make a move. 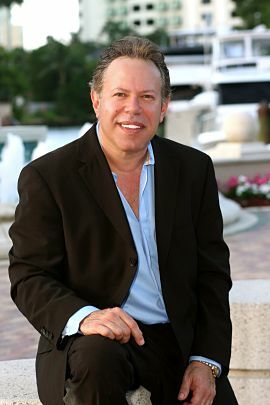 I went looking for a Fort Lauderdale expert and found Tony Hammer on the internet. I called Tony and he took the time to speak to me the first time for almost 2 hours, and explained a lot of different things about this challenging market. Tony did an amazing job for me and my family in finding the perfect 3-story townhouse, and helped with connecting us with experts to close escrow. We were truly shocked to have done so, as there were a lot of ‘cartwheels’ done by us, Tony and others to make it happen. My husband I were so happy with Tony’s personal service, knowledge of the business, and with his endless hours trying to found our home. But what I appreciate the most is Tony’s understanding of our situation, which was definitely not perfect and easy to close. He was patient and made it happen ! We hope to someday be in a position to by more property, and when we do, Tony is the Man ! Tony Hammer really helped me make my move down to south Florida. I accepted a new job, and needed to move to the Fort Lauderdale area, and get settled as soon as possible. Finding Tony was the best solution for my dilemma. Tony made a special effort to meet with me and find a place for me that met my needs. The best recommendation I can make for you is to sit down with Tony, and so that you’all can get a read for each other, and get some real information that will allow each of you to find the best opportunity for your life. By partnering with Tony, I was able to find a beautiful and fun location that I would never have even knew existed otherwise. I am wonderfully happy and blessed with my place, and I know that Tony can help you too. Tony assisted me in finding, negotiating and closing on a foreclosure. His insight into the S.E. Florida foreclosure market was outstanding and led to a very successful transaction. He was knowledgeable in market analysis, financing and neighborhood values. I am now working with him on another property which I am sure will be as successful as the last. In addition to his real estate knowledge, he has a great personality which makes him easy to work with. I had the pleasure of dealing with Tony on my recent purchase of my condo in Fort Lauderdale. Having bought and sold multiple properties over the years I can honestly say Tony listened to my wants and met my needs absolutely. He is knowledgeable , straightforward and always on the ball. A Realtor of Tony’s caliber is very rare. Before I met Tony, I interviewed 5 or 6 real estate agents and they wasted my time by not listening to what I wanted and needed. Tony reassured me he would find me the place I needed if I agreed to work with him. I did and the third property he sent for me I rented sight unseen as I was living in Virginia at the time. I couldn’t be happier. Tony listened to me, did not waste either of our time, and found me exactly what I needed. I’ve lived in the same place now for 18 months. The place, location, and landlord were exactly what I wanted. In addition, Tony gave me great advice on setting up a successful business since I was new to the area. When I buy my first place, Tony is the only Realtor with whom I’ll work. I purchased a property from Tony Hammer as my agent. I can categorically state that Tony is the best and most knowledgeable agent that I ever dealt with. Tony makes things happen simply because he understands value and the market. His advice and follow through is invaluable to me. As an international company with interests in Honduras, we decided to purchase an apartment in Fort Lauderdale for the use of our employees en route to and from our Roatan Project in Honduras. Our first attempt with a local realtor was, to say the least, a complete waste of time. We were shown properties which were of no interest to us whatsoever, even though we had made our requirements absolutely clear in advance of our visit. We then commissioned Tony Hammer to find a ´good buy´ for us. We met Tony at his office at 2pm and by 8.30pm we had found the perfect property. Following Tony´s advice, an offer was made and accepted in record time. As well as making considerable savings on hotel costs for our employees, we now have an investment property with an income and should we decide to sell tomorrow, we would make a substantial profit. We are in a ´win, win situation´ all the way ! We cannot speak highly enough of Tony and the extra mile that he went for us. He is a true professional every inch of the way. For and on behalf of Market House International Group Ltd.
We were very interested in a Fort Lauderdale beachfront property but did not know a realtor who had the expertise and passion for putting us into the right condo building at the right price. Along came Tony Hammer and the deal is done. Tony worked tirelessly to make sure we got our dream condo in our first choice property and we are absolutely delighted with our new winter home. I would recommend Tony with a doubt, he will find you your dream home as well. Dear Tony: My husband and I would like to take this opportunity to thank you very much for your professional guidance and insight when we came to you to purchase our Condominium last month. You made the whole purchasing process seamless even though we are located in Canada. Without your guidance and insight into this unusual housing market it would have taken us months of searching for the right property. You took the time, you explained all the terminology and steered us into the right direction , what more could any new purchaser ask. We want to express our deep appreciation for your commitment and dedication to us. You are truly one of a kind. I would highly recommend your services and expertise to any new purchaser. Tony assisted us in finding, negotiating and closing on a fabulous waterfront home. His insight into the South Florida luxury property market was outstanding and led to a very successful transaction. He was knowledgeable in market analysis, financing and neighborhood values. In addition to his real estate knowledge Tony kept in constant contact with us and was very positive about the outcome of our transaction. We would recommend him to anyone looking for luxury properties. Whether you are buying or selling a home he is a true professional ! My wife and I were extremely well cared for by Tony Hammer. From the moment we started to work with him, he was professional, organized and very responsible. He always had our best interests in mind. And at the end closing, when we experienced some delays, he advocated for us and brought a difficult situation to a very happy conclusion. He is the best. Would recommend him to anyone looking for help in the complex Fort Lauderdale housing market. Good Job ! Tony got me a buyer for my house in a few days! Wow ! Thanks, Tony. I was approaching relocation for work when I had hit my tipping point in search of real estate. Four realtors later, I came across Tony. He understood my sense of urgency, needs, and parameters. Nonetheless, he showed me precisely what I asked for. The rest is history. I now live comfortably in a beautiful home in a great area. He exceeded my expectations from a service and business standpoint. It comes with great pleasure to recommend Tony Hammer as a real estate professional and a friend. Dear Tony, Thanks for making the purchase of our condo a positive experience. Although we’re from Canada and didn’t know the Fort Lauderdale area, your patience and explanations were greatly appreciated; no questions were left unanswered. We relentlessly visited numerous properties and you had the ability to place yourself in our position and help us evaluate the pros and cons. Through you, we found “ The Gem”. Should there only be one real estate agent in this world, let it be Tony ! And then again when we unfortunately had to sell our dream condo you were there once again to help us with the sale. Your expertise and knowledge plus your friendship is something we thank you for!!! In the future if we are blessed with the opportunity to buy another condo you will be our real estate agent!!! Blessings to you in 2015!! There is more space for Fort Lauderdale Real Estate agent reviews. Please Contact me anytime.